For every Major Key there is also a relative Minor Key. 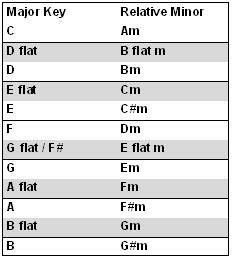 Refer to the previous lesson on minor scales if needed. Start on any fret and make that your Major key root note. and you will have that keys relative minor.